President Trump signed the America’s Water Infrastructure Act of 2018 into law. 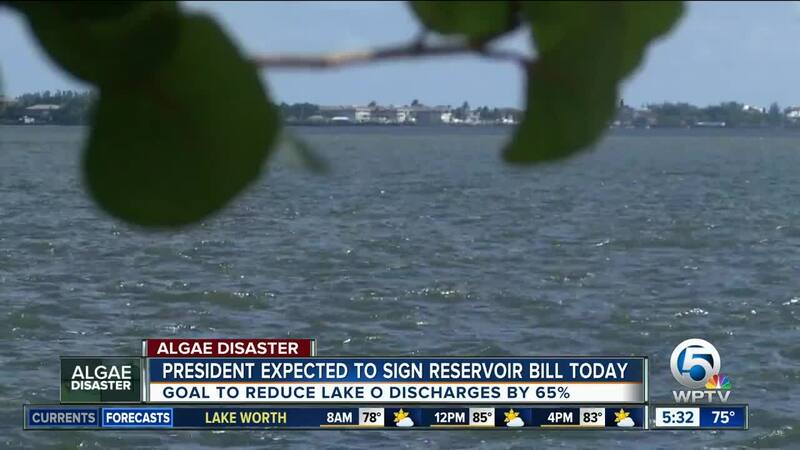 Included in that massive plan is a bill to create a reservoir south of Lake Okeechobee, which is expected to greatly help the algae crisis in South Florida. UPDATE: President Trump signed the America’s Water Infrastructure Act of 2018 into law. At 3 p.m. Tuesday, President Trump is scheduled to sign the America’s Water Infrastructure Act of 2018 into law. 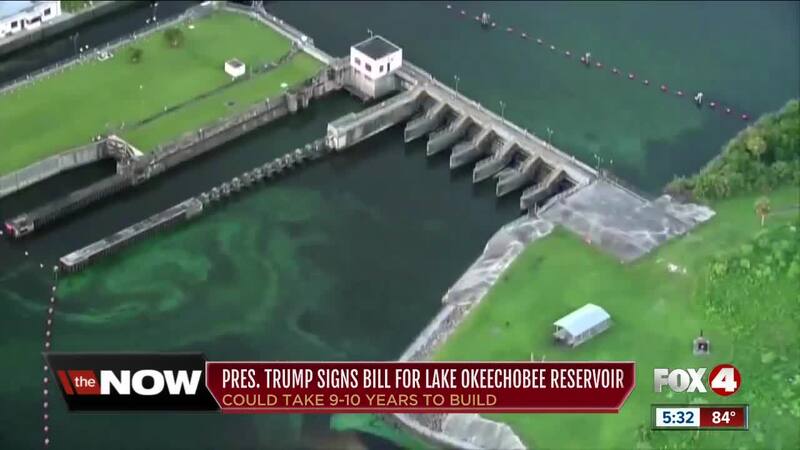 Included in that massive plan is a bill to create a reservoir south of Lake Okeechobee, which is expected to greatly help the algae crisis in South Florida. The South Florida Water Management District has said creating the reservoir could reduce Lake Okeechobee discharges by 65 percent. The water storage project is designed to take water from the lake and filter out toxins that contribute to those harmful algae blooms. It will cost about $1.3 billion, which will be split between the federal and state governments. The reservoir could take nine to 10 years to build, so it is not an immediate fix. The bill also directs the Army Corps of Engineers to develop a five-year plan to reduce those harmful algae blooms. The bill was achieved via bipartisan support from U.S. Rep. Brian Mast, Sen. Bill Nelson and Sen. Marco Rubio.